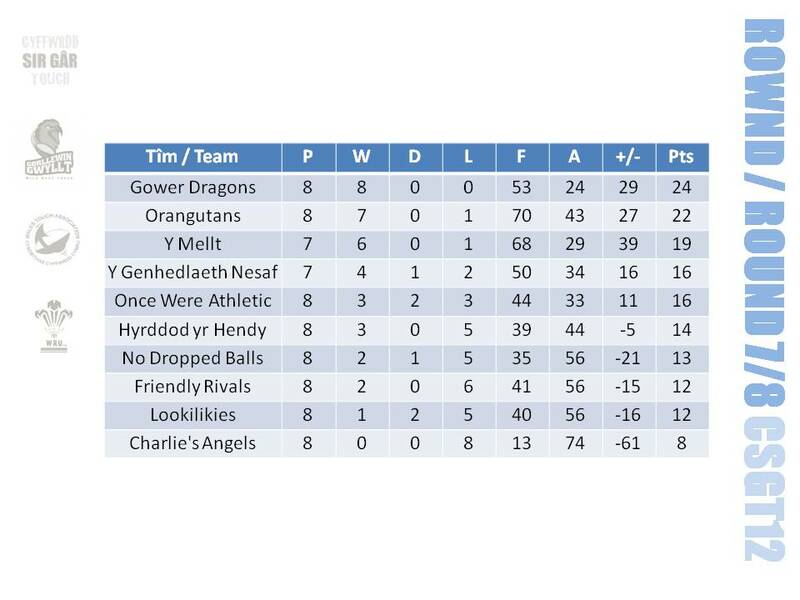 In another fantastic night of Touch at Ysgol Y Strade, Hyrddod yr Hendy start to climb the table, whilst Orangutans, Gower Dragons and Y Mellt stay on top. 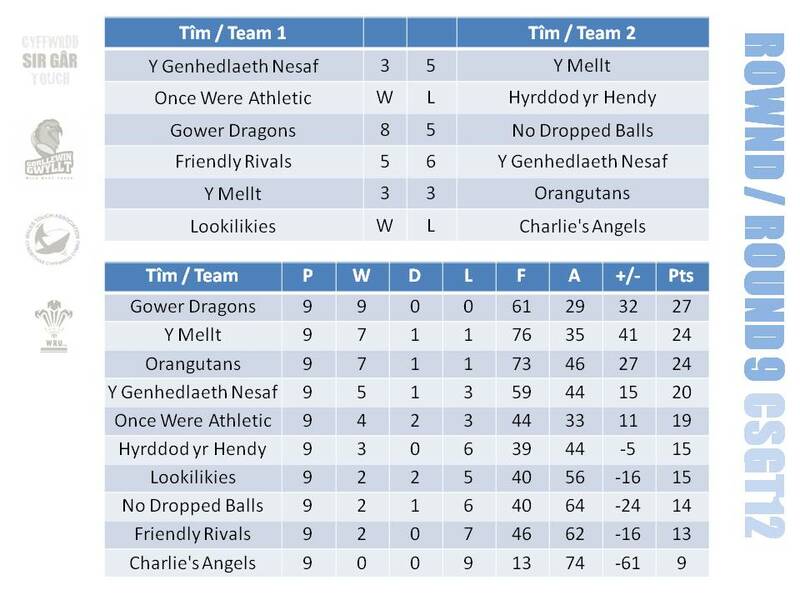 In the first games of the evening, Y Genhedlaeth Nesaf, narrowly lost out to Orangutans 9 – 7. Despite the scores being level at points in the game, the Orangutans managed to hold on, get the important scores and continue their unbeaten record. On Pitch 2, Once Were Athletic held on to fourth spot by fighting out a 5-all draw with Lookilikies, who are leap-frogged by Hyrddod yr Hendy, whose young team completed a 6 – 4 victory over No Dropped Balls and in doing so, rise up to fifth position. Hendy are now only three points away from claiming the all important fourth spot – the final play off position. Both Y Mellt and Gower Dragons still remain unbeaten, although the Dragons have played one more game. 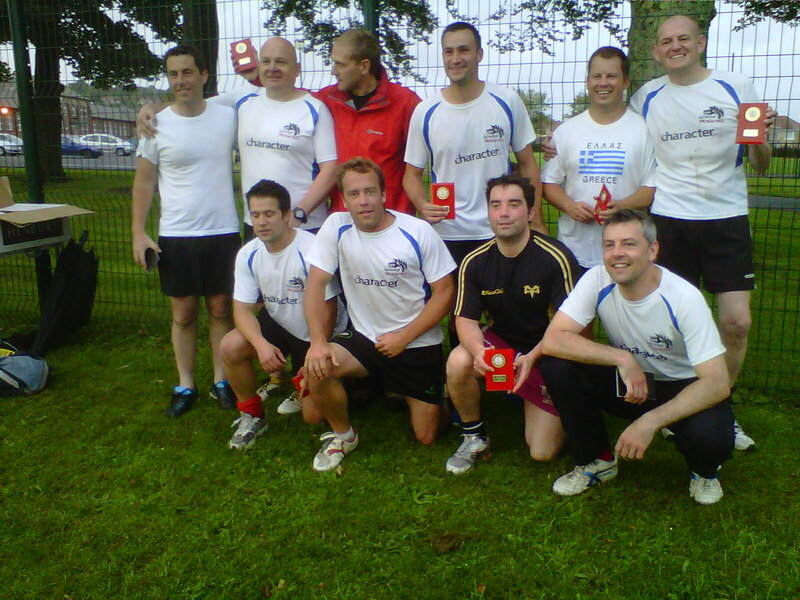 Y Mellt managed to overcome the Friendly Rivals 10 scores to 7 and Gower Dragons were victorious over Charlie’s Angels 8 – 3. To remind you of the format of CSGT12, every team plays each other once, with teams recording three points for a win, two for a draw and one for a loss. After the ninth and final round is played, the top four placed teams will go on to contest the play-offs. The team placed first will play in a semi final against the team that finished in fourth position, with the second and third placed teams contesting the second semi final. The winning teams will contest the final with the losers contesting the third place play off game. CSGT12 is braced for an exciting climax, with the current top four teams all playing against each other over the remaining four rounds. Round 4 will now be played on Wednesday 18th July with the Play-offs the following week. 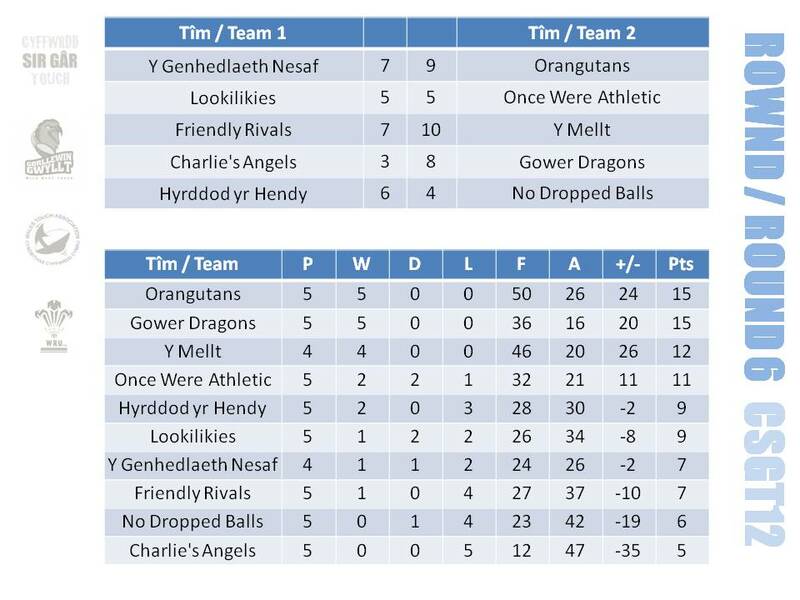 It is worth noting that Orangutans are to play Gower Dragons in the re-arranged Round 4, which could be a pre-cursor to the final if their winning runs continue. 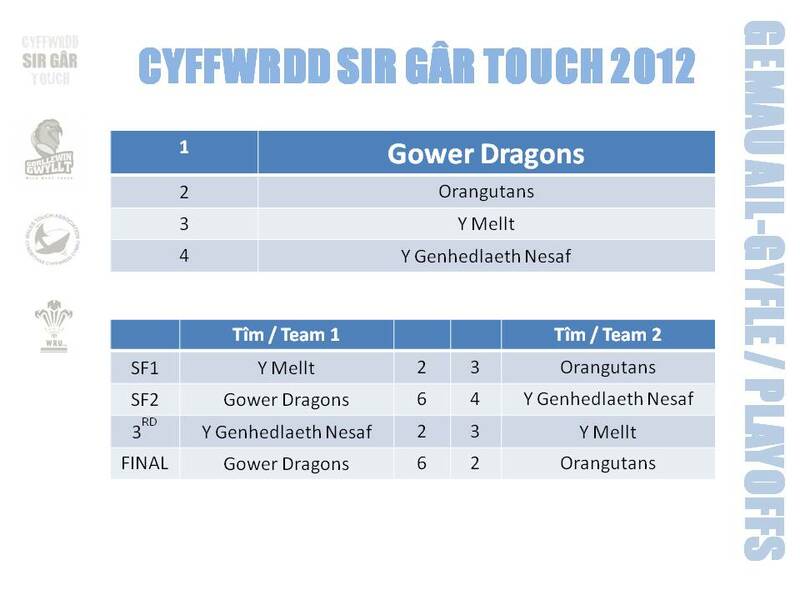 Three teams in CSGT12 are still unbeaten after Round 5; defending champions, Orangutans, Gower Dragons and Y Mellt. 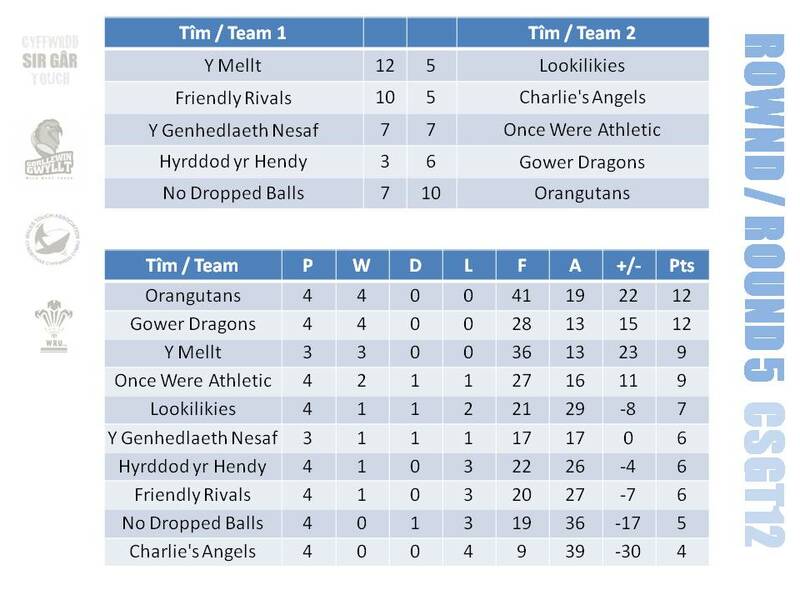 Orangutans and Gower Dragons are now both on played 4, won 4 with Y Mellt closely following in third place with a game in hand. 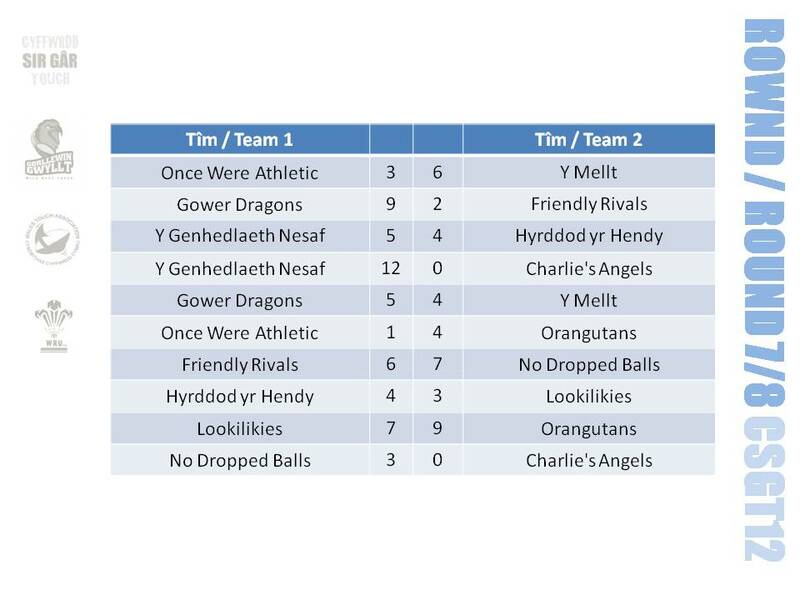 Orangutans superior score difference is all that seperates them from Gower Dragons in second place and scoring another 10 in Round 5 no doubt helped their cause – although they might be concerned that they conceded seven scores to the team placed one from the bottom, No Dropped Balls. 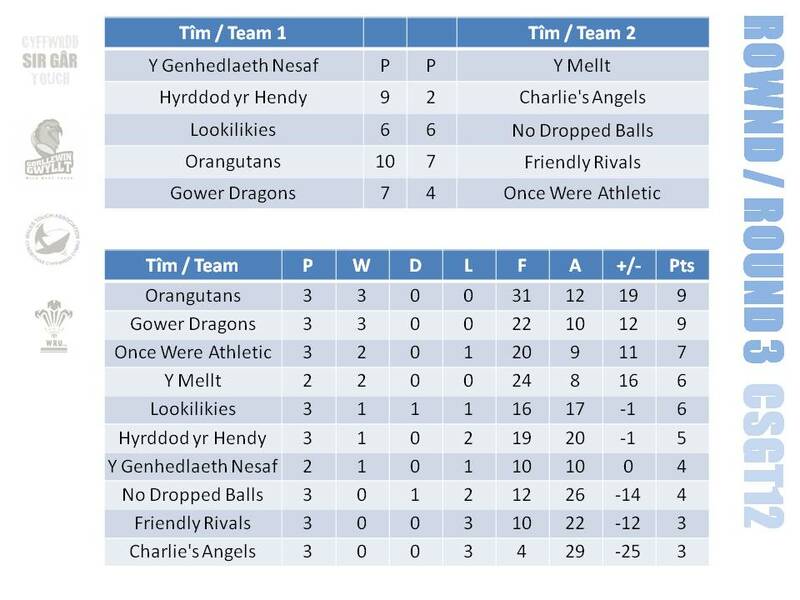 Elsewhere, an exciting game between Y Genhedlaeth Nesaf and Once Were Athletic resulted in a seven-all draw. The Friendly Rivals broke this season’s duck with a fine win against Charlie’s Angels 10 scores to 5 and Y Mellt cruised to a 12-5 win against Lookilikies. We look forward to another exciting round of Touch Round 6 next week!